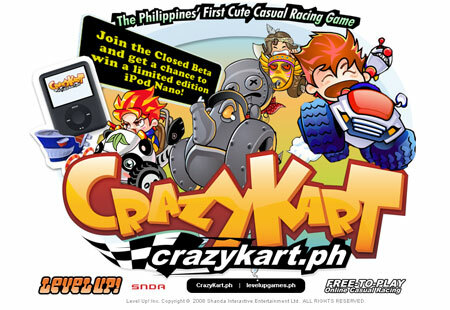 Crazy Kart launched by Level Up! Level Up!, the country’s leading online games publisher, has launched it’s newest game: a FUN online casual racing game called Crazy Kart. I love this game!. More power to level up.